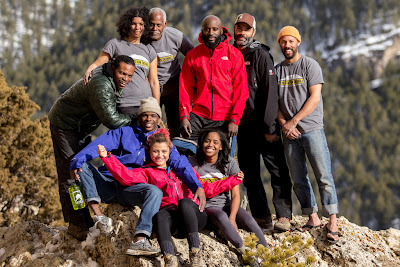 This summer a team of African Americans made an historic attempt to summit Denali, the highest peak in Northern America. Expedition Denali did not end with their descent. The climb was only one chapter of the project developed and led by the National Outdoor Leadership School as an effort to inspire young people of color to get outside, get active, and become stewards of our wild places. The Appalachian Mountain Club will be hosting a special event with an Expedition Denali team member, who will be on hand to show a video and slideshow of the climb, and take part in a Q&A session with attendees. This team member will also facilitate a leadership activity with the attendees. This event will take place on Saturday, September 14, 1:00-3:30, at AMC’s Headquarters at 5 Joy Street, Boston, located a short walk from the Park Street stop on the MBTA Red Line. AMC is putting a special focus on inviting teen participants and partner youth agencies in its Youth Opportunities Program to this inspiring event, but AMC members and the general public are invited to attend. No registration is necessary, but you can contact Alicia Day (aday@outdoors.org) with questions about the event.